The patented Reverse Tension configuration relieves the pressure caused by the playing strings. This allows for much lighter bracing which is strategically placed in a proprietary pattern. Light bracing allows more vibration, greatly enhancing volume, balance, clarity, sustain, overtones/harmonics, and all-around greater richness of tone. All this is accomplished while adding stability to the instrument. The Relentless Persuit of Tone. The tone of a guitar is influenced in many large and small ways – the species of wood used, the type and amount of glue used, the shape and depth of the body, and a myriad of other factors. The size and placement of every part does something to the tone. Also, many factors influence intonation, or the ability of the instrument to be played in tune across all the available notes, but here we are concerning ourselves with the tone, or quality of the sound. Tone is much more complex than just the primary note from the vibrating string. As the various parts of the guitar resonate along with the vibrating string, overtones, or harmonics, are generated as well as reflections and delays within the instrument that enrich the sound and add to volume. All the parts of the guitar either add to or detract from the overall tone in subtle or sometimes not-so-subtle ways. 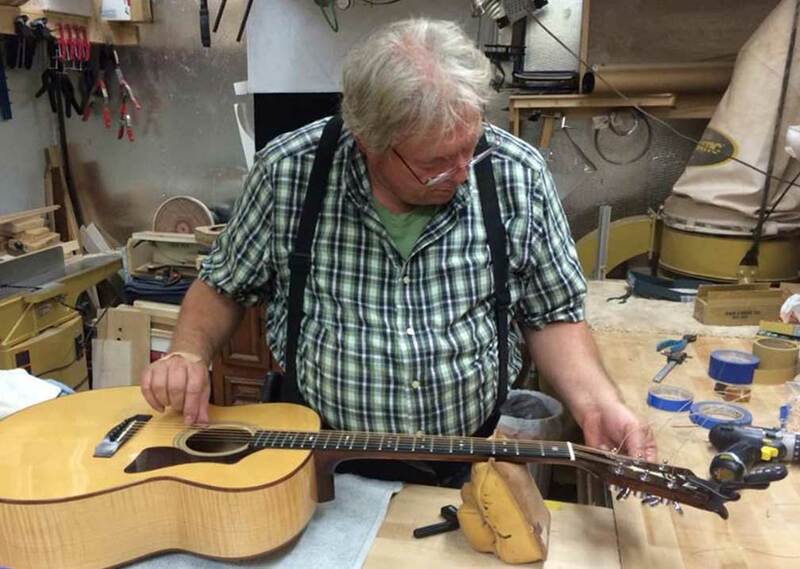 Much is known among luthiers about how these many variables work in shaping tone. Most players know that as wood ages it can develop tonal qualities that are highly prized. This is why vintage instruments are often worth large sums of money. At Reverse Tension Guitars we have applied this knowledge to get more and better tone out of guitars and to tweak the tone in different directions for different flavors. One might think that the Reverse Tension system is like the many other things that can be done to tweak tone a little. But this is not the case. The difference trumps all the other changes. The improvement isn’t just subtle, it’s profound. The Reverse Tension system can improve almost any guitar. It can make an average instrument sound good. It can make a good one really great. Many have claimed that their tweak is the greatest thing ever, but in our experience, the differences are subtle. 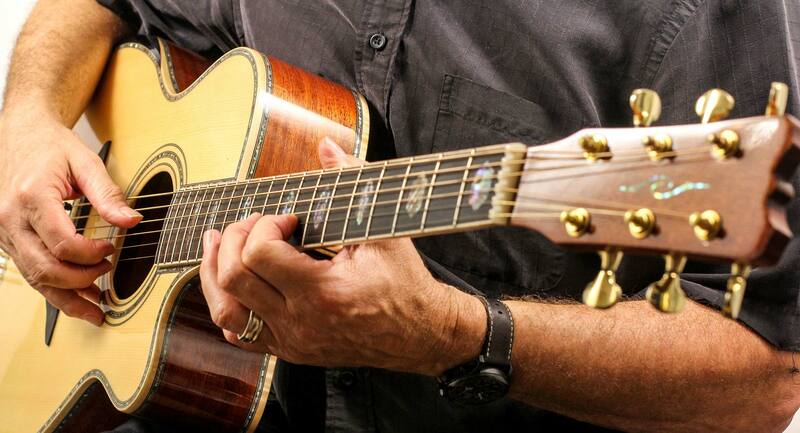 The last great breakthrough in the acoustic guitar was Martin’s X-brace top bracing pattern a hundred years ago. We believe that Reverse Tension is the next one. Once you experience the Reverse Tension system, we believe you will be very impressed. Many skeptics have become believers within minutes of playing one of our guitars.